We’ve just received the fantastic news that the Dutch Film Fund has decided to support Mama Agatha with a post-production subsidy. Many thanks once more to all our friends nad supporters for their continued backing, and the Dutch Film Fund for believing in the project! We are starting post-production very soon! This time, we have a very special release: For the last few weeks, we have been working hard on the original soundtrack for Mama Agatha, and we are very proud to unveil a beautiful excerpt composed by the incredibly talented Niko Hafkenscheid. Do you like the music? What kind of film does it make you expect? 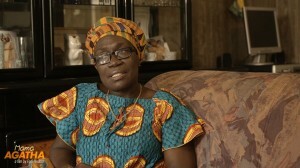 Let us know in the comments and don’t forget to subscribe on YouTube to get all the exclusive content about the short documentary Mama Agatha. We are incredibly happy to announce that filming on Mama Agatha is complete! Yesterday, we filmed the colorful graduation ceremony during which Mama Agatha’s students received diplomas and brand new bicycles. After 12 weeks, all women in the course are able to cycle on the streets of Amsterdam without support. While Mama Agatha’s students are finished, we are only getting started! An intense period of sorting the beautiful footage and building an engaging story awaits us. Don’t forget that we are still looking for support to edit Mama Agatha – you can help by subscribing on YouTube and inviting your friends to like our Facebook page! The team of Mama Agatha is looking forward to more updates about the project and we wish to thank the innumerable people and organizations without whom it would not be possible – among them our fantastic crew, the incredible teams at Kansrijk Zuidoost, CEC Zuidoost and Mobycon, the Amsterdam Fund for the Arts, our media partner The Bike in My Life, all the women in the cycling course for their patience with our filming and most of all “Mama Agatha” Agartha Frimpong and her tireless team. Yesterday, we had a beautiful peek into Mama Agatha’s daily life. She let us into her home to speak about the painful childhood she overcame to become the empowering bicycle trainer she is now. While walking around Amsterdam with her, she introduced us to many of the friends in her community. 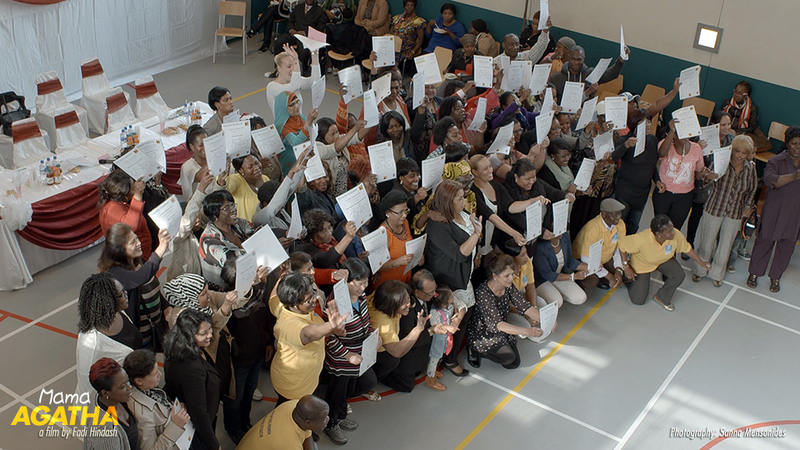 We got some beautiful footage, such as in the Ghanaian fabric store in Amsterdam Southeast. Stay tuned for more updates and stills! Mama Agatha has been featured on Polish cycling portal aleszprycha.pl! For those of you with command of the Polish language, check out the nice article by Agnieszka Gruszczynska. Mama Agatha’s summer course is in its 5th week. Her students – migrant women from India, Pakistan, China, Ghana, Suriname and elsewhere – can now cycle without anyone balancing them. Next week, they move from the gym onto the parking lot… Just a few more weeks before they hit the colorful streets of Southeast Amsterdam!